September has been a busy month at city hall. City Council discussed and passed the $3.7 billion budget while still holding regular council meetings to pass some meaningful resolutions. On September 15th, Austin City Council passed our $3.7 billion budget for the 2016/17 Fiscal Year. I'm proud of what we accomplished in adopting this budget. It is not perfect, but we found a great balance. Council owes many thanks to the work of our City Manager, city staff, and our community advocates. The new(ish) 10-1 council's second budget continues the move toward a more just Austin. A Workers Defense Project and University of Texas study states that "Every year, more than 100 workers die on Texas construction sites, and thousands of construction workers end up in emergency rooms, clinics, and hospitals across the state." As construction in Austin continues to grow we must ensure that growth is responsible and safe. City Council passed a resolution that implements stronger worker rights into the city’s future fast-track permit review process.The resolution, passed September 1st, directs the city manager to require certain stipulations to any future expedited permitting process for commercial projects. To be eligible for the expedited process a contractor must guarantee that all workers receive a livable wage (currently $13.03/Hr in Austin), OSHA-10 safety training, workers compensation, and third-party oversight to make certain that they are treated with fairness. Growth in Austin is a great thing, but it must be responsible, safe, and beneficial to all Austinites. On Thursday, September 23rd, the families of Cactus Rose had a chance to be heard by all of city council and Council voted to pass the zoning change on first reading. Since the beginning of the year, my staff and I have been working with residents, city staff, and the applicants to find solutions that address the desires and concerns of the Cactus Rose families. With participation from the residents, we have explored several options, each with its merits and its faults. My priority will continue to be the safety, well-being, and self-determination of families in District 3. I have publicly stated my intention to vote against the zoning request if no agreement can be reached. However, Cactus Rose residents have explicitly asked me not to do that. In order to honor the request of Cactus Rose families, I voted for the zoning change ONLY on first reading. This will allow more time for the residents to negotiate a fair and enforceable agreement with the applicants. In our last newsletter we mentioned that council passed on first reading a resolution that would change our City Code to establish the Tenant Relocation Assistance Program. On Thursday, September 1, we passed that resolution on second and third reading. The program is aimed at combating the impacts of Austin's growing housing crisis by ensuring that when vulnerable tenants of muti-family and mobile home parks are faced with displacement they are given essential protections, such as adequate notice, access to financial assistance funds, and other forms of relocation assistance. This ordinance is a major first step in protecting our city's most vulnerable. During last months budget discussion I made it a priority to make this vital program was included in next year's budget. I'm proud to say city council voted to set aside $160K to begin funding the Tenant Relocation Assistance Program. On September 24th, Austin Parks & Recreation held a very emotional naming ceremony for the John Trevino, Jr. Metropolitan Park. On May 3, 1974, Mr. Trevino became the first Hispanic elected to the Austin City Council. Over his 13 years at the City, he went on to serve as Mayor Pro Tem and Acting Mayor. Mr. Trevino led efforts to review hiring practices that promote fair access for women and minorities. In addition, he championed the establishment of health clinics to provide underserved residents with increased access to immediate health care. To me, John means even more than his impressive resume of accomplishments. Many decades ago he became my mentor. Before he was elected in 1974, he was Austin's first paid "anti-poverty" worker at the East 1st Neighborhood Center. He first ran in the early 1970's and lost, but during that election he taught us younger Chicano/as the importance of running a true grassroots campaign. We made our own silk screened political signs and knocked on our neighbor's doors. We lost that election, but a just few years later he won a council seat and paved the way for many future Latino/a leaders. 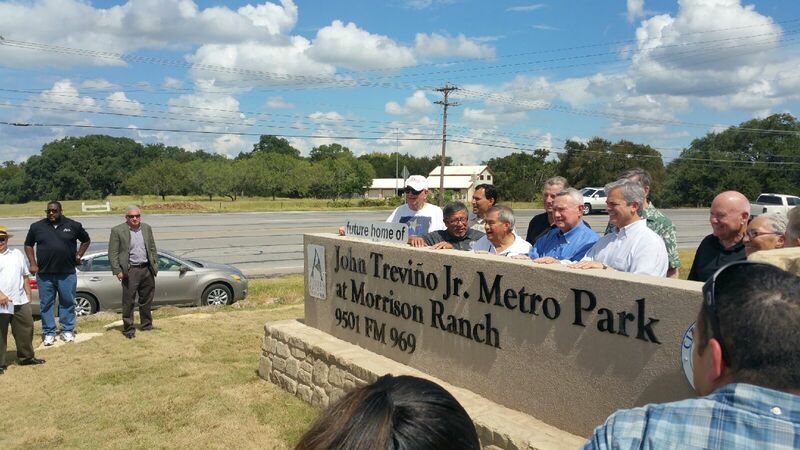 John Trevino Jr. Park Naming Ceremony. Last week my staff and I met with the Community Impact Team from Google Fiber to discuss the construction that is beginning in East Austin. You might have already seen people working on telephone polls throught your neighborhood. Things can begin to look messy, but google has ensured us that once the construction is complete for your entire neighborhood, their crews will come back through to restore your property. If construction work has been completed in your area and you notice that your property has yet to be restored, please give their construction inquiry line a call at 877-454-6959. You can also call our office at 512.978.2103 and we'll help bring this to Google's attention. Access to public and private property: Some state and local laws authorize utilities and other service providers, like Google Fiber, to use rights of way and easements. Google Fiber has also ensured us that they will leave door hangers before coming to do construction in your neighborhood. Those door hangers also include their contact information should you have any questions or concerns. Google's "Community Connections" is a list of 100 public facilities and nonprofits chosen in partnership with the City of Austin to recieve free fiber connections that will spark social innovation. This includes 10 years of free Gigabit Internet. The nonprofit and public facilities selected for Community Connections represent diverse community needs including arts & culture, education & workforce, public entities, and social, health & well-being. 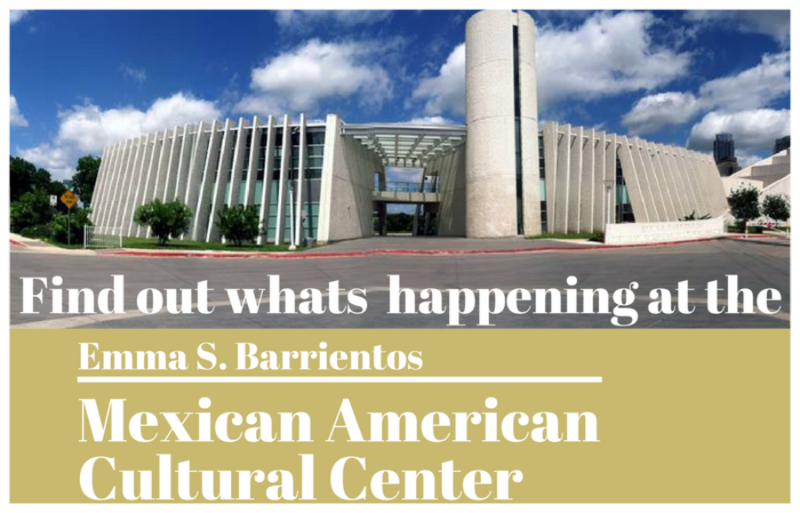 In District 3, this includes Eastside Memorial High School, Ruiz Branch Library, Terrezas Library, St. Edward's University, LifeWorks, Austin Film Society, Cepeda Branch Library, and Cantu/Pan Am Recreation Center. For a complete list click here: List of 100 Sites. If you are experiencing any problems or issues with your landlord, BASTA (Building and Strengthening Tenant Action / Buscando Accion y Soladaridad que Transforme el Arrendamiento) is a newly-formed organization that is committed to helping Austin renters work with their neighbors to ensure that all Austinites have access to safe and affordable housing. They act as a resource for tenants and can put you in touch with the appropriate departments and agencies to help resolve problems you encounter in regards to property maintenance or tenants’ rights. You can reach them by phone at 512.522.9984 or at basta@bastaaustin.org. As always, if you need assistance with city issues, please call my office at 512.978.2103. We are glad to help.